As the name itself suggests micro that means small. Micro inverters are smaller inverters. Micro inverters or micros are newer to the market than string inverters and are fast becoming very popular. 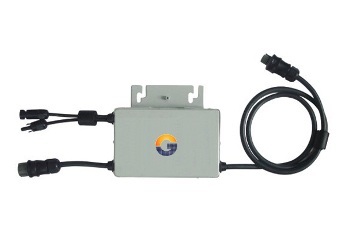 Micro inverters have been designed to operate with individual Solar PV modules. Micro inverters supplier are similar to conventional inverters in that they turn the DC solar power produced by the solar module into AC power which can be used in the home and fed into the utility grid. However, micro inverters are different than conventional inverters in that one micro-inverter is attached to each solar module at the back of the module whereas conventional inverters. Our solar micro inverters are made by considering simple design, higher production and superior efficiency that has the capability to be used on more than one roof, in contrast to a DC string inverter system. They have varying and competing benefits depending on the customer preference, size of the PV modules being used and features required. All options in our range include integrated module level communication/web-based monitoring and single or dual MPPT trackers depending on model selection.